I've been hearing may great Things about events thrown by The Moms and this one being my first, I was very impressed! 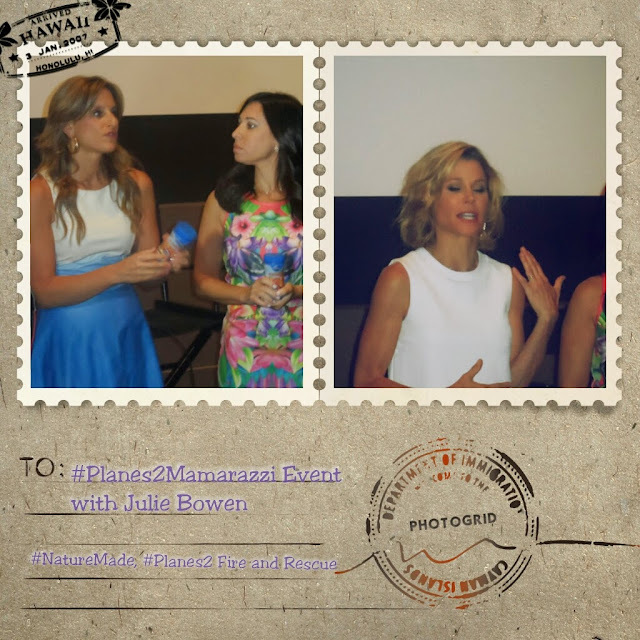 Two weeks back my Mother, Niece, Daughter and I got to have a family outing while attending The Moms Planes 2 Mamarazzi screening event sponsored by NatureSmart, the makers of the tasty Disney, Marvel & Star Wars vitamins for kids. We arrived at the Beautiful Elinor Bunin Monroe Film Center on 65th street right on time.Once we entered into the event room, we were greeted and received gift bags for the kids from Nature Smart, filled with enough Kid vitamins for my to last us until the next year! We started off the fun Mamarazzi Event with some Delicious Hot Dogs from Windmill, awesome photos being taken, and some Yummy Drinks from Arizona and Skinny Girl! The amazing aroma of the hotdogs definitely lured you in. Both Kids Loved it and so did we. 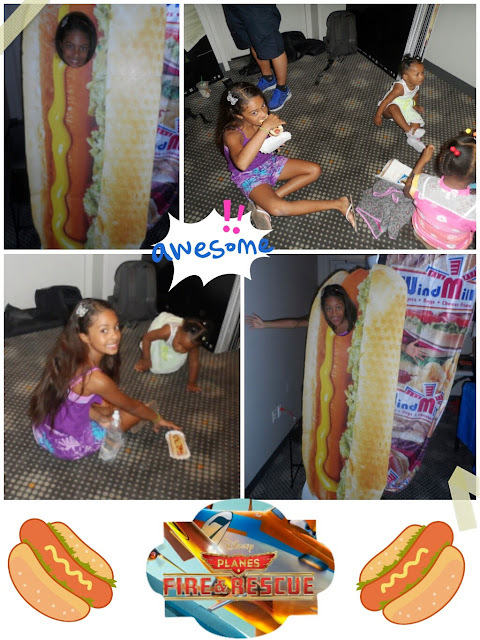 The children at the screening couldn’t wait to get into the Windmill hotdogs cutout and get their pictures taken! I was always told to eat something Salty, before something sweet so your Tummy won't hurt. So What better Sweetness to have after a (salty) Hotdog, than the Sweet Little Cupcakes from Baked By Melissa! They were DELICIOUS!!!!!!! Confession: Up until this day, I had never actually had a treat from Baked By Melissa......Crazy Right???? 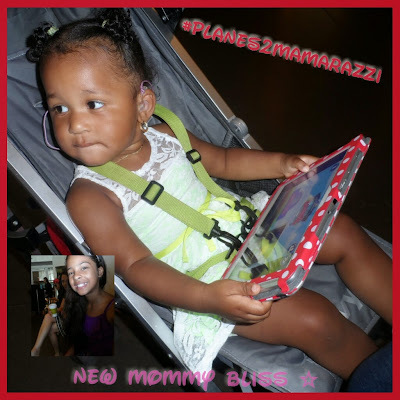 I was able to meet many wonderful Mommas at this Mamarazzi event such as the Talented writers/Vloggers from 3 City Girls NYC, Five Little Words, Mommy Tips by Cole, Mami Does It All, and Plenty more! 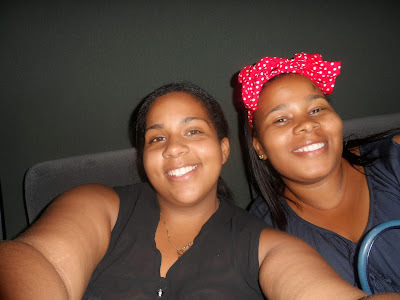 After all the Fun, we were led to the theater for the latest family film by Disney which happens to be the sequel to the First movie Planes... Planes: Fire & Rescue! The very talented Julie Bowen (Modern Family and Boston Legal) stopped by for a quick Q&A with The Moms, Denise and Melissa! Julie Bowen is the voice of the Cute and Funny plane Dipper. It was a pleasure to see that she was just as fun and silly in person as she appears to be on TV (Huge Thumbs up!). Then the lights dimmed, everyone scattered to different seats and we all enjoyed Disney’s Planes: Fire & Rescue. 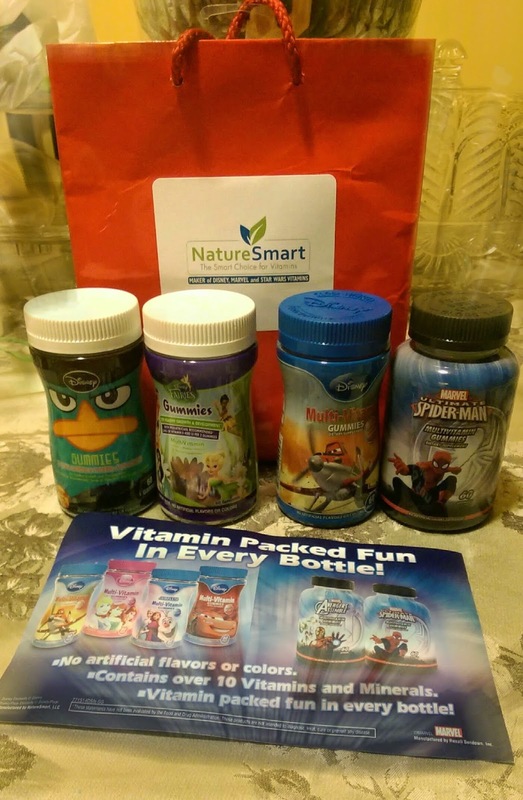 Here's Our swag Bag from this amazing Mamarazzi Event Courtesy of Nature Smart Vitamins!. Thanks again to The Moms and to all of the wonderful sponsors! This was a wonderful event! Be sure the Check out Disney Planes: Fire and Rescue. In Theaters Now! Disclaimer: I was invited to this event as Media, I was not compensated in anyway. We all received a Swag Bag for attending, but as always my opinions are honest and 100% mine.